Obituary of Betty L. Zenger Betty L. Zenger, the daughter of Leon Chizek and Bessie (Trecek) Chizek, was born March 7, 1939 in rural Cuba, KS and passed away March 21, 2019 at Topeka, KS at the age of 80 years, 14 days. Betty grew up north of Cuba, KS, attending the Haworth Country School and then attended and graduated from Cuba High School. She worked in the telephone office in Cuba, KS following her graduation. On March 12, 1960 she was united in marriage to Keith A. Zenger and to this union was born, Terri and Greg. Betty assisted her husband, Keith, in the farming operation. Betty was a homemaker and sold Avon for a few years and then worked for Scott Specialties, Belleville, KS for several years until her retirement. After her retirement, she worked as a waitress for the Haddam Café, Belleville 81 Livestock Café, and Two Doors Down in Cuba. She was a member of the Saddle Club, enjoyed animals and livestock, and also riding and training horses. Betty was preceded in death by her parents, Leon and Bessie Chizek, and her husband, Keith Zenger in 2013. She is survived by one daughter, Terri (Brian) Larson of Scandia, KS; one son Greg (Lesa) Zenger of Belleville, KS; 6 grandchildren: Krystina Morris, Nikki Uffman, Jeremiah Bunch, Cody Zenger, Brandon Zenger and Keith Larson; 7 great grandchildren, other relatives and friends. 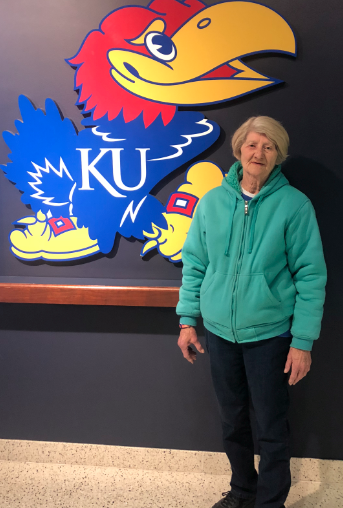 Funeral services will be held at 10 AM, Tuesday, March 26, 2019 at the Bachelor-Surber Memorial Chapel, Belleville, KS with Kathleen Marsicek, officiating. Interment will be at the Hawks Cemetery, rural Cuba, KS. Friends may call from 1 PM until 8 PM on Monday, March 25, 2018 at the Bachelor-Surber Funeral Home, Belleville, KS with the family greeting friends from 6 PM until 8 PM on Monday. Memorials are suggested to the Betty L. Zenger Memorial. Online condolences at www.bachelor-surber.com Bachelor-Surber Funeral Home, Belleville, KS is in charge of the arrangements.